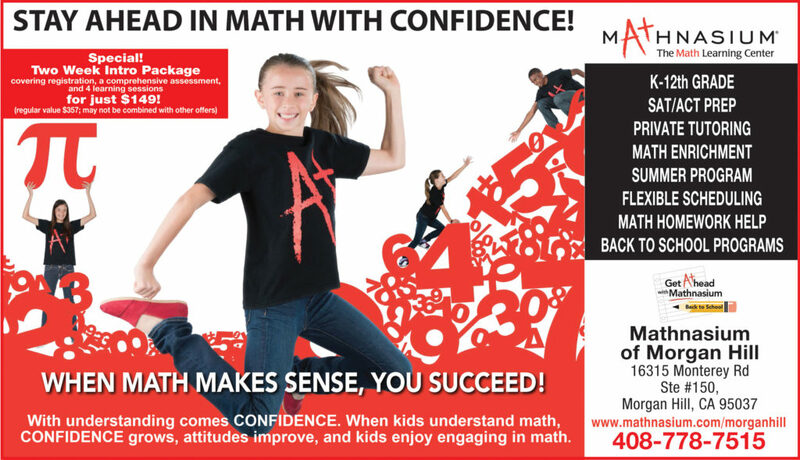 Mathnasium – Stay Ahead in Math with Confidence! Mark Fenichel is the Advertising/Marketing Director for Morgan Hill Life with more than 40 years of marketing experience. If you're interested in learning more about building your business brand, contact Mark at (408) 410-4782 or email him at sales@MorganHillLife.com.